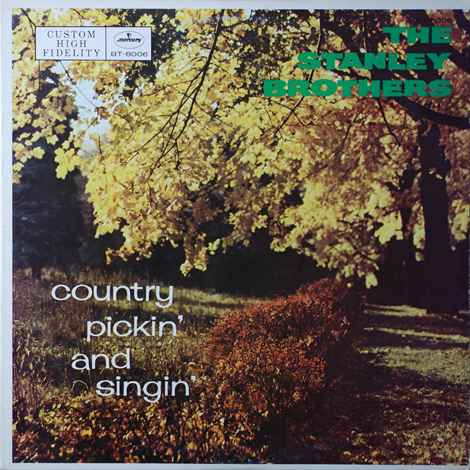 This 1958 album was the first collection of Stanley Brothers material to be released on LP, and at the time it included at least five previously unreleased tracks. 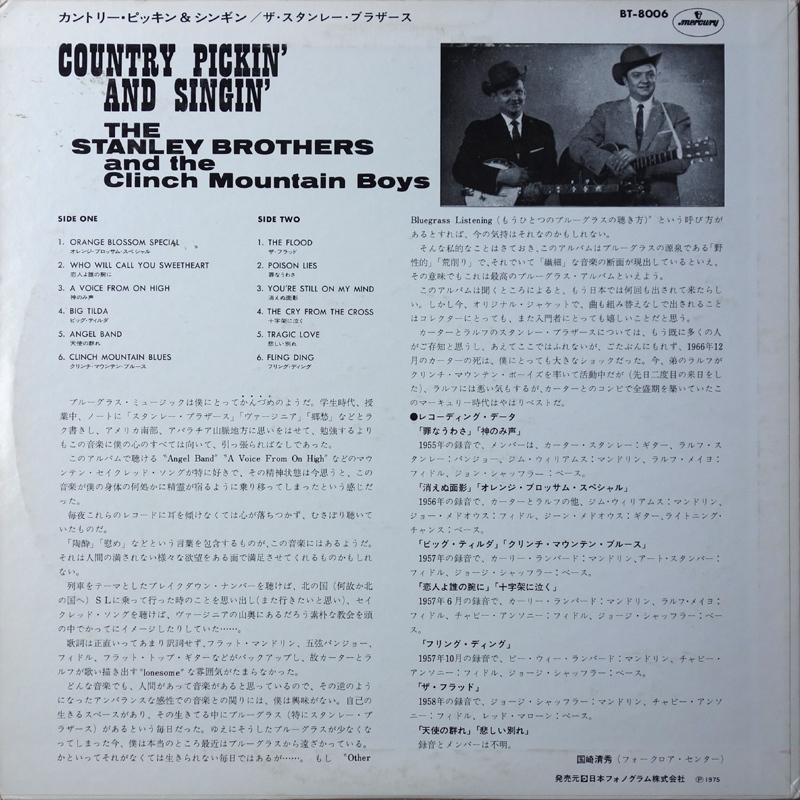 The 12" Long-Play (LP) format was introduced commercially in 1948, and by 1958 the format accounted for a quarter of US record sales. 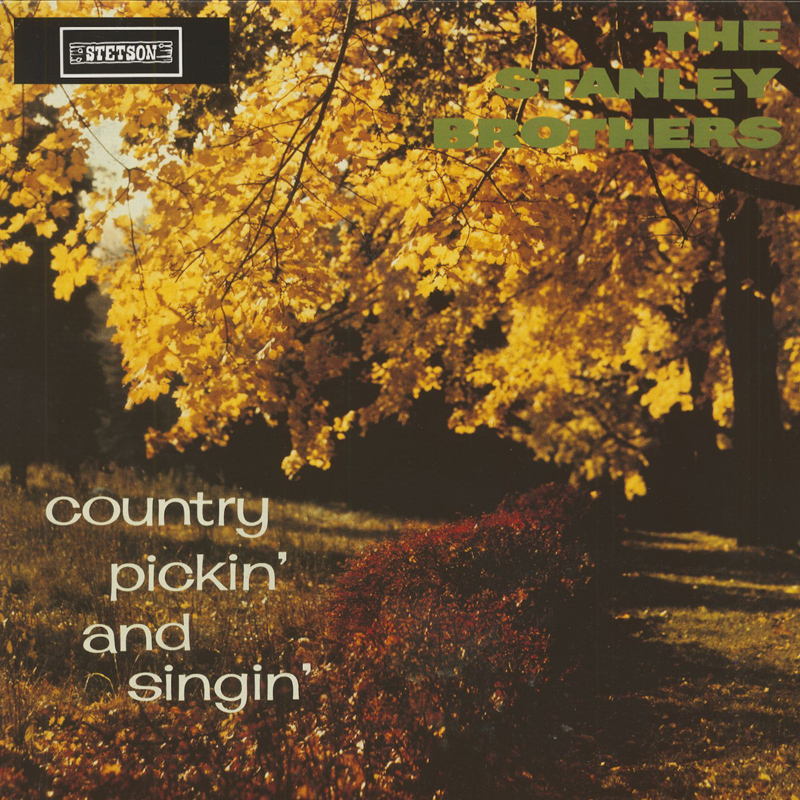 At the time it was released, there were only a handful of bluegrass style albums, so it seems a bit incongrous that Mercury dropped The Stanley Brothers from the label in the same year. 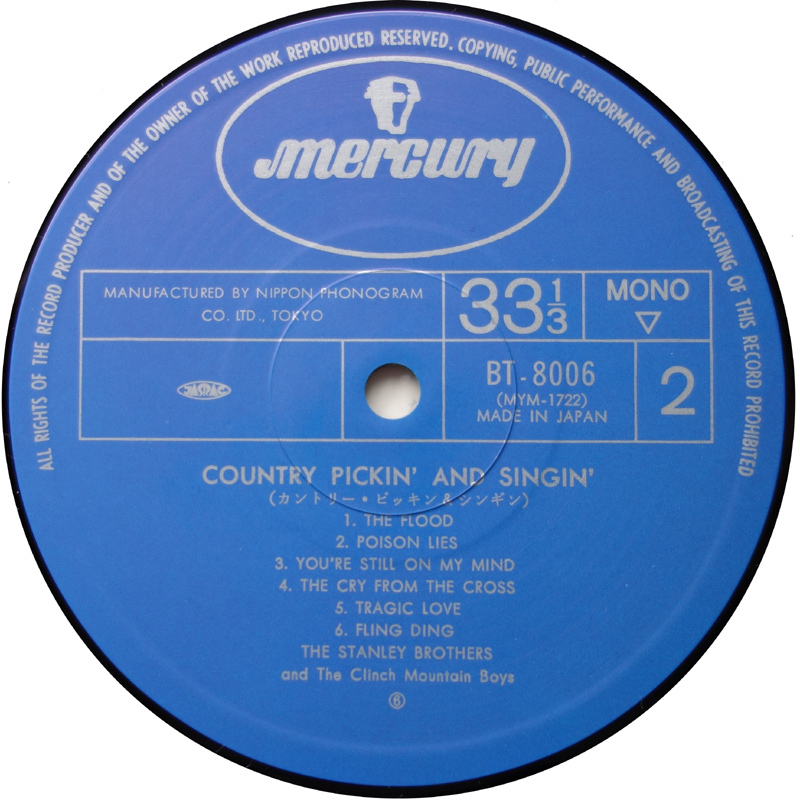 Online discographies indicate that the album was also issued in Japan (Mercury SM-7120) 1958 and reissued in Japan with a lyric sheet (Mercury BT-8006) 1975 and in the UK (Stetson HAT-3125) 19?? 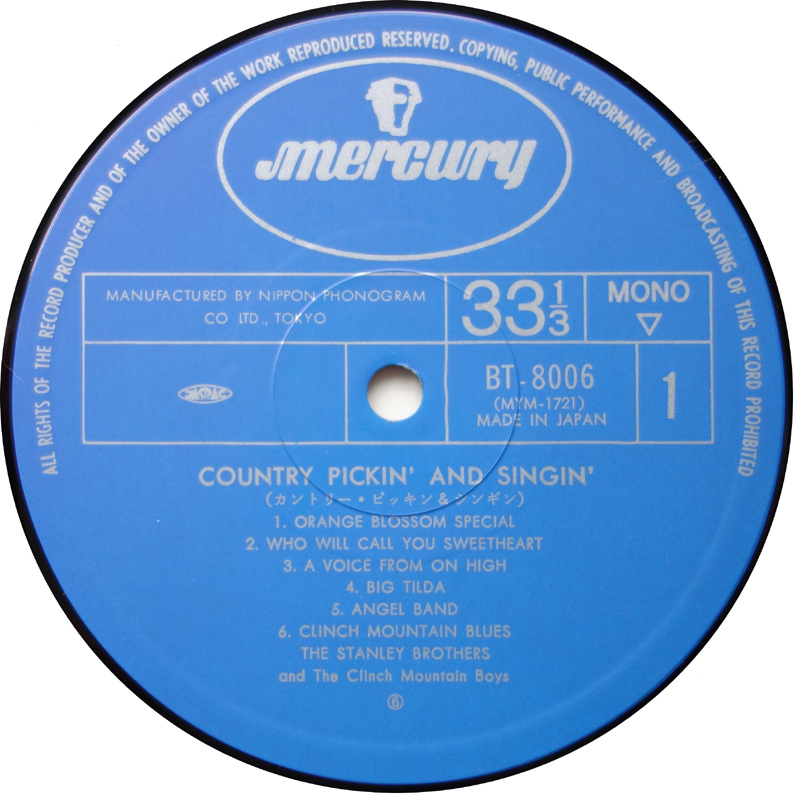 Nowadays, the best way to hear the album is to pick up a copy of The Complete Mercury Recordings 2xCD set. 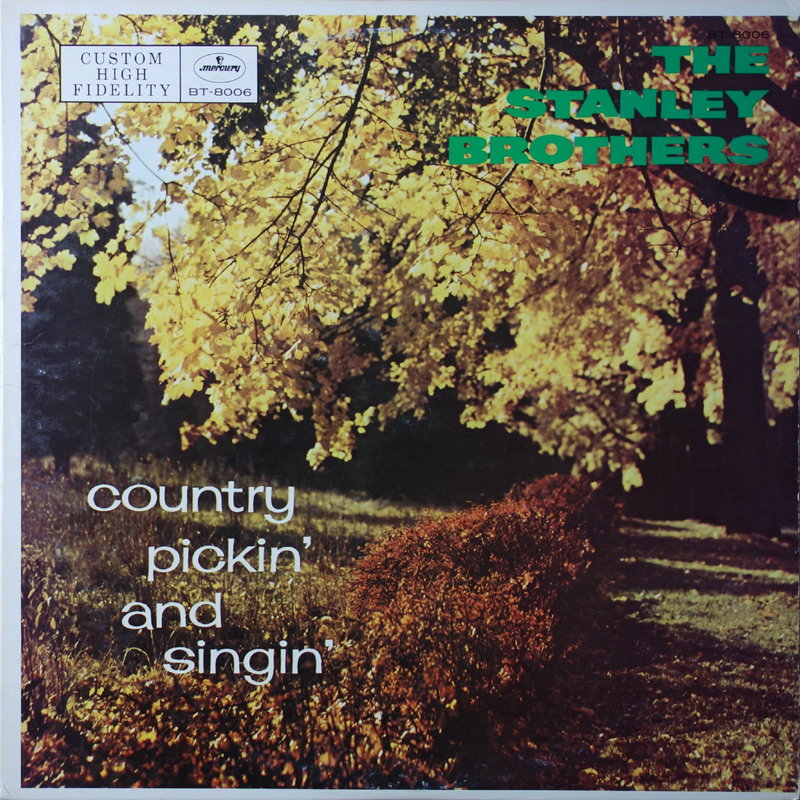 For detailed information on these songs / sessions, check Gary B. Reid's The Music Of The Stanley Brothers book, pages 43-44, 49-51, 57-58, 60-61, 64, 66-68, 71-74, 78, and 81-83.